1 Macdonald Road , Archway , London - North , England , UNITED KINGDOM (Postal Code: N19 5DD). This sports centre delivers 25 meters x 25 meters, 3 lanes, 1.75 meters maximum depth, 1.75 meters maximum depth, Indoors. For this Swimming Pool, only phone number is number here. 6 Malet Street , Bloomsbury , London - Central , England , UNITED KINGDOM (Postal Code: WC1E 7HY). This sports centre delivers 33.3 meters x 11.5 meters, 4 lanes, 1 meters - 3.4 meters depth, 1 meters - 3.4 meters depth, Indoors. Contact information for this Swimming Pool including phone number and email address are number. Uxbridge Rd., Hanworth , Feltham , London - West , England , UNITED KINGDOM (Postal Code: TW13 5EG). This sports centre gives 25 meters, 6 lanes, 1.8 meters maximum depth, 1.8 meters maximum depth, Indoors. For this Swimming Pool, only phone number is number here. 16 - 19 Canada Square , Canary Wharf , London - East , England , UNITED KINGDOM (Postal Code: E14 5ER). Swimmers like you reported 23 meters x 9.75 meters, Indoors. Phone number and e-mail address are number for this Swimming Pool. Bishopswood Road , Highgate , London - North , England , UNITED KINGDOM (Postal Code: N 6 4NY). This sports centre offers 25 meters x 12.5 meters, 6 lanes, 0.9 meters - 3.5 meters depth, 0.9 meters - 3.5 meters depth, Indoors. Contact facts for this Swimming Pool like phone number and email address are number. 1C Portland Place , Regent Street , West End , London - Central , England , UNITED KINGDOM (Postal Code: W 1B 1JA). Among all the activities supplied by the centre, if you are interested in swimming you will enjoy 16 meters, Indoors. If you might want to contact this Pool, email address and phone number are both number. Staines Road , Twickenham , London - West , England , UNITED KINGDOM (Postal Code: TW2 5JD). Among all the activities offered by the centre, if you are thinking about swimming you might take pleasure in 25 meters x 10 meters, Indoors. Just in case you want to get in touch with this Swimming Pool prior to dropping by, we only know the phone number. 80 - 110 High Street , Thornton Heath , London - South , England , UNITED KINGDOM (Postal Code: CR7 8LF). This sports centre offers 25 meters, 6 lanes, Indoors. For this Swimming Pool, only phone number is number here. Duke´s Meadows , Chiswick , London - West , England , UNITED KINGDOM (Postal Code: W 4 2SX). This great and large sports centre lets professional swimmers like you enjoy 25 meters x 15 meters, Indoors. Additionally, within these facilities you can try 20 meters x 10 meters, Indoors. Unfortunately we do not have the email address of this Swimming Pool, but we can give you the phone number. 188a Fulham Road , Chelsea , London - Central , England , UNITED KINGDOM (Postal Code: SW10 9PN). This sports centre provides 18 meters x 7 meters, Indoors. For this Swimming Pool, only phone number is number here. Merland Rise , Tadworth , London - South , England , UNITED KINGDOM (Postal Code: KT20 5JC). Among all the activities provided by the centre, for anybody who is considering swimming you can get pleasure from 25 meters, 6 lanes, Indoors. Just in case you want to contact this Pool before dropping by, we only know the phone number. New Heston Rd. , Heston , London - West , England , UNITED KINGDOM (Postal Code: TW 5 0LW). Among all of the activities offered by the centre, if you're interested in swimming you are going to enjoy 25 meters, 6 lanes, Indoors. Just in case you want to contact this Swimming Pool prior to dropping by, we only know the phone number. Chelsea Village , Fulham Road , London - Central , England , UNITED KINGDOM (Postal Code: SW 6 1HS). Among all the activities offered by the centre, if you are thinking about swimming you might take pleasure in 25 meters x 10 meters, 4 lanes, 1.4 meters uniform depth, 1.4 meters uniform depth, Non-Chlorine Sanitized, Indoors. Just in case you want to get in touch with this Swimming Pool prior to dropping by, we only know the phone number. Kangley Bridge Rd. , Lower Sydenham , London - South , England , UNITED KINGDOM (Postal Code: SE26 5AQ). Among all the activities offered by the centre, if you are interested in swimming you are going to enjoy 25 meters, 3.5 feet - 11 feet depth, Indoors. Just in case you would like to make contact with this Swimming Pool prior to dropping by, we only know the phone number. Belhus Park , South Ockendon , London - East , England , UNITED KINGDOM (Postal Code: RM15 4PX). 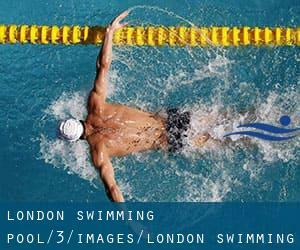 Swimmers like you reported 25 meters x 8 meters, 1 meters - 2 meters depth, 1 meters - 2 meters depth, Indoors. Unfortunately we do not have the email address of this Pool, but we can give you the phone number.